Aesthetics can be vital when choosing a window system for your project as they can completely change the look and feel of a build, especially when you factor in the unique wall-to-wall finish that only LUMI can provide, so why not experience it for yourself? In order to experience what makes LUMI unique and different from any other product on the market, you need to see it for yourself. It is for this reason that we have recently created our new LUMI Instagram page. We have been continually updating the page with exciting new images of our recent projects, including New-Builds, Extensions and Replacement projects. We take pride in our work and are proud to showcase the breathtaking visuals our LUMI products can add to any project, not to mention, the impressive suite of energy efficiency credentials capable of keeping any house warm for years to come. 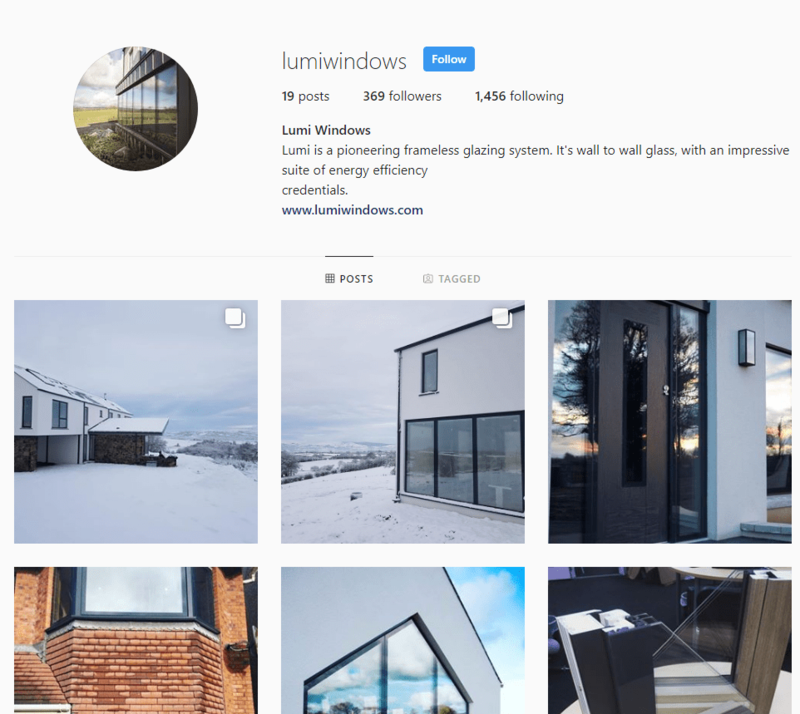 Why not have a look at our Instagram page and see the difference that the innovative LUMI glazing system can make to your project?